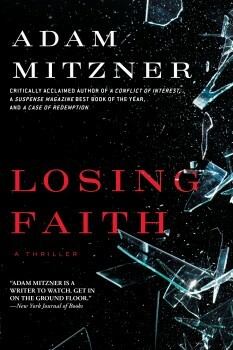 With his latest legal thriller, LOSING FAITH, just released, I had the great pleasure of putting litigator-turned-best-selling novelist, Adam Mitzner, under my own cross-examination. What followed was an engaging conversation about the incriminating content of rap lyrics, writing dos and don’ts, the relative value of Coldplay, and the future (?) of Batman. First, the expected question: How has your practice of law influenced your writing? There’s an economy in my writing that I think is a direct result of truly learning to write through preparing legal briefs that not only often have a page limit, but in preparing a brief in which you’re very mindful that if the judge gets bored, he won’t read the rest of it. Also, I began my legal practice at a large law firm where I was tasked with writing the first draft, and then my work was revised by more senior people. That was a better writing class than I could have ever imagined because I got to see how my finished product, which I always thought was pretty good, could be made so much better. And the follow-up, (from a fellow litigator) how has your career as a novelist impacted your practice of law? I don’t think my writing has added much to how I conduct my day-to-day legal practice. I normally don’t even tell my clients that I moonlight as a novelist. But, it has made me much happier in my day job, that’s for sure. The reality of the judicial system is often very different from what’s portrayed in print. What sort of concessions and accommodations do you make in writing about litigation? I try my very best not to deviate in my books from what would actually happen in litigation. I understand that goes on all the time in fiction, but as a practicing lawyer, it makes me crazy when I’m reading a book or watching television and the judge allows in hearsay evidence. The one accommodation I made was in A Conflict of Interest. That book was told in the first person, and so I needed to have my protagonist, Alex Miller, watch the trial even though he was called as a witness, which normally (although not always) is prohibited. As you can see, I still feel bad about it, but I don’t think I’ve made another legal mistake since. One sidebar (legal term) on this point that gives me pleasure: In A Case of Redemption, the defendant is on trial for murder and a critical piece of evidence against him is the lyrics to rap songs he’s written. I had many lawyers email me saying that they thought that such lyrics would never be admitted at trial. However, a year after the book came out, the New York Times ran a front page article about how many defendants are being confronted with their rap lyrics as evidence of their guilt. One of ITW’s primary missions is to shepherd writers who are just beginning their careers. Looking back now, what is the worst mistake that you made at the outset? And what’s the smartest decision you made as a beginning writer? Perhaps because writing is a second career for me, I’ve avoided the normal pitfalls that might have tripped me up if I’d begun writing in my early twenties. First and foremost, I’ve loved every minute of being a writer, and try not to take a single experience about it for granted. I also think I’m more relaxed about criticism. The second part of the question—what did I do right?—is much easier to answer. I wrote and wrote and wrote. My first manuscript took me two years to finish. I thought it was great and I immediately got an agent and just assumed I’d be on the bestseller list by summer. And then, no one bought it. Rather than give up, however, I just started writing a new one. Sometimes people ask me if I’ll ever publish the first one, and the truth of the matter is that I now realize why no one bought it—I don’t think it’s good enough to publish either. LOSING FAITH deals with foreign financing, Russian mobsters, and international terrorism. What sort of research did you do for writing the novel? I try not to stray too far from things that I don’t have some familiarity with. So the characters in my books are usually some amalgam of people I’ve met in life. The legal research I do is the same as I’d do if it were for a paying client. In LOSING FAITH, there was an issue about what happens when a witness refuses to testify because he wants to assert his Fifth Amendment privilege. I looked it up on legal databases, read all the opinions, and followed the law. A Conflict of Interest was your debut novel. A Case of Redemption was your sophomore follow-up. Writers disagree which of the first three novels is the most difficult to write, what was your experience in this regard? For me, the second one was the toughest for a variety of reasons. First, you have less time. You can take forever writing your first book, but the second one has a deadline. Second, there’s always a fear that you have one story in you, and that’s it. So it’s daunting to finish the story you’ve been thinking about for so long, and then have to come up with something totally different. But the biggest difficulty in writing the second book is that you know from the outset that people are actually going to read it. When I was writing A Conflict of Interest, I thought it was really just going to be for my eyes and the few friends I made read it. With A Case of Redemption, I knew from the outset that it was going to be published. You’ve stayed within the legal-thriller genre with your three books to date. How has that been an advantage as a writer? Are there any ways in which you’ve found the constraints of the genre to be difficult to deal with? In my first three books, I have truly written what I know. It’s been great and I do think that I bring something fresh to legal thrillers because I’ve been practicing law for more than twenty years. At the same time, a legal thriller does limit the kind of story you can tell. With my next book—A Better Man—there’s still a legal component to it, but it’s more of a psychological thriller than a legal thriller. Every writer has his/her own practices and rituals for writing. What are yours? I write the way I read. I begin with a rough sense about what the book is about—like what might be later written as the blurb—and then I go chapter to chapter wondering what’s going to happen next. Most people think that thrillers are heavily outlined, and maybe some people do write that way, but I don’t. I often don’t know how my books are going to end until I’m right at the ending myself. I’m a great believer that nothing reveals the true nature of a writer like the items on their desk. What are some of your favorites? I couldn’t agree with you more. On my desk are the two most telling things about me, I think. Pictures of my family (and lots of them), and about ten Batman bobble-heads. Your autobiography lists you as a fan of all things Batman. There are few literary characters that have been re-conceived more than Batman. As a writer and a fan, what’s your take on how the character has been treated over the years? What have you loved (or hated)? And if given a chance where would you take him? I grew up on the cartoon and TV show Batman, and so I always thought of him as a happy-go-lucky campy Batman. Then when I discovered the dark vigilant Batman, it was a real shock to my belief system. But unlike a lot of my peers who resisted the change from the Batman they knew, I embraced it because the Dark Knight Batman made much more sense to me. It showed me how you can look at something you feel like you know intimately and make it better. If I were in charge of the character, I’d likely try to explore Batman’s psyche more. Obviously, he’s a somewhat disturbed individual, but he often comes across as certain that he’s doing the right thing. I wonder if he doesn’t grapple with whether his decisions have truly served Gotham. After all, Bruce Wayne is a billionaire. He should wonder if he might have done more good if he had worked from within, rather than become a vigilante. Also, as Batman gets older, how does he come to terms with the fact that he won’t be able to physically do the job of Batman anymore, and yet there’s more work to be done. LOSING FAITH was published in April. What’s next? My next book is called A Better Man, and should come out in 2016. It’s the first of my books that does not have a lawyer as the central character or a major trial. It takes place in a fictionalized version of the town in New Jersey where I grew up, and opens with the protagonist returning to go to his twenty-fifth high school reunion and take care of his ailing father. Because I went through both those experiences, A Better Man is a very personal story for me, and I think it contains some of my best writing. While you’re writing it, what will be your soundtrack while you’re working? I actually do have a sound track when I write. LOSING FAITH opens with lyrics from Coldplay’s Viva La Vida, and I listened to that song a million times when I was writing the book. In some ways, the song gave me the spark to write about a man who has everything and sees that his “castles stand on pillars of salt and pillars of sand.” When I found out that you couldn’t just quote song lyrics without paying a licensing fee (obviously not my area of legal practice), I thought about dropping the quote, but it was such an important part of my writing process for that book that I thought it was well worth the money to keep it. For A Better Man, which deals with a son’s relationship with his father, I listened to a lot of Cat Stevens, particularly enjoying Father and Son. The book I’ve just begun writing is about sisters, and I’m listening to a lot of 1970s singer-song writers. In addition to being the author of three critically acclaimed legal thrillers (including a Suspense Magazine book of the year), Adam Mitzner is also the head of the litigation department of Pavia & Harcourt LLP, a Manhattan law firm. He lives in New York City with his wife and children. Adam graduated from Brandeis University with a B.A. and M.A. in politics, and from the University of Virginia School of Law. Most importantly, he is an avid Pez collector and a lover of all things Batman. 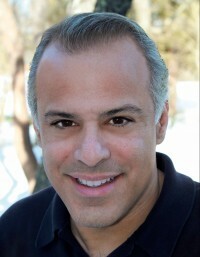 Eyre Price is the author of the award-winning, chart-topping Blues Highway Blues and other entries in his Crossroads thriller series.An attorney and single dad, Eyre and his son live in South Carolina with a collection of dogs and cats in a little house not far from the sea.Learn more at www.thereale.net.